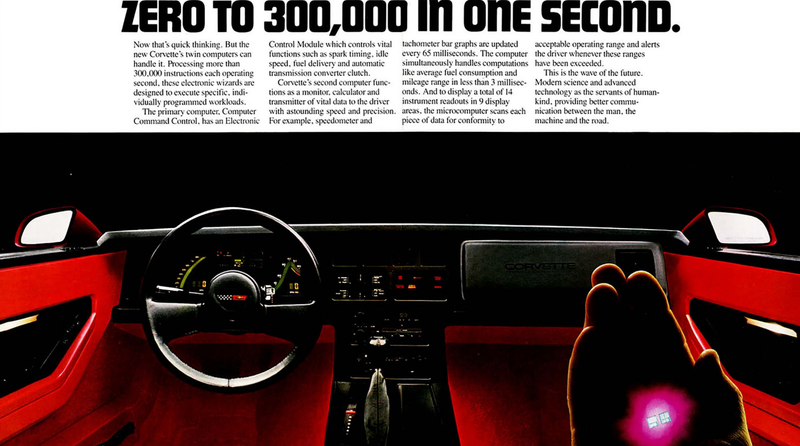 Want to read a promotional brochure for the 1984 Chevrolet Corvette? Want to read a promotional brochure for the 1984 Chevrolet Corvette? Hell yes, you do. Head on over to Wild About Cars Online to check it out. It talks about computers!